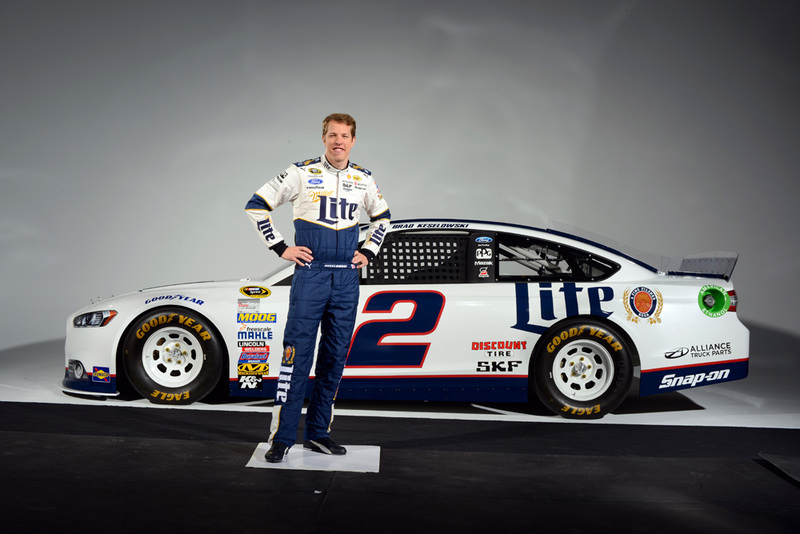 Looking for First Win at Michigan International Speedway and Raises $$$ for the Checkered Flag Foundation. Brad Keselowski, driver of the No. 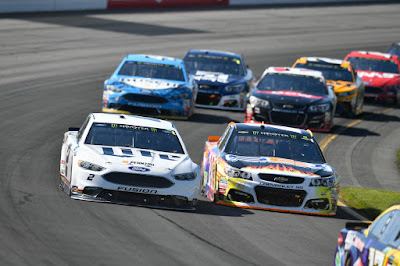 2 Ford for Team Penske in the Monster Energy NASCAR Cup Series, heads to his home state of Michigan and Michigan International Speedway for Sunday’s FireKeepers Casino 400 (3 p.m. ET on FS1, SiriusXM and MRN). The driver of the famed Blue Duece is seeking his third win of the 2017 Monster Energy NASCAR Cup Series season and his first-ever triumph at his home track. Question: What are your feelings on driving at your hometown track? Brad: You know, earlier in my career it used to feel like a ton of pressure. But as of late, I don't seem to feel quite as pressured by it. I think maybe that's just changes in my life or changes in the status of my career as I've become more established. But now I just look at it and I think of how amazing it is to run well there, and I don't seem to get stressed about if I don't run well there. And that's been good. But I would say it certainly affects people in different ways. And in my case it's affected me differently as I've grown older. Question: You returned home to your home state of Michigan last week to raise some money for the Fisher House through your Checkered Flag Foundation. How did that go? And what was that like being back home? Brad: I would say it's a weekend that is circled every year on our calendar and one where we've had a lot of success but haven't been able to break through for that first win. So I feel like with the season we're having this year, we have a great opportunity of checking that box off. So we're looking forward to that. But to your point about our servicemen and servicewomen, which are, of course, very near and dear to my heart. 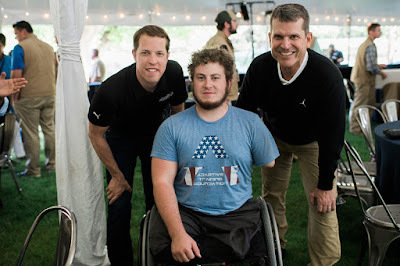 My foundation, the Checkered Flag Foundation, does a lot to celebrate veterans and help not only honor them but hopefully enrich their lives through various programs. And this year we've chosen to do so through a partnership with Fisher House, which, the long and the short, helps provide homes and comfort homes for the families of military who are, of course, in the midst of an event where they need to be seen by a medical hospital. And so the state of Michigan does not currently have a Fisher House facility but has plans to produce and build one once funding is complete in Ann Arbor, Michigan next to the VA clinic. So it's our hope that our foundation can play some role in helping to complete the funding to facilitate that. Through various fundraisers we've been able to put a dent in that project. And we're hopeful to see it come to fruition, because it's a world-class facility that helps those that are really, really in need and some of their toughest moments. So it's something I'm proud to be a part of.